come and join us for a special evening! 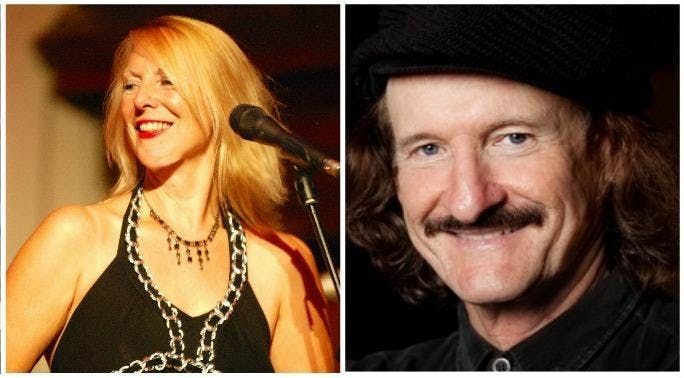 Melanie O'Reilly and Frank Martin have become known as one of the most formidable vocal /piano duos in the Bay Area, California & the West coast of USA. As part of Dublin's St Patrick's Day March celebrations, they will team up again on Tuesday March 5th, in Arthurs, and together the they will perform their unique, exciting, exhilarating sound fusing two great traditions - Jazz and Celtic. 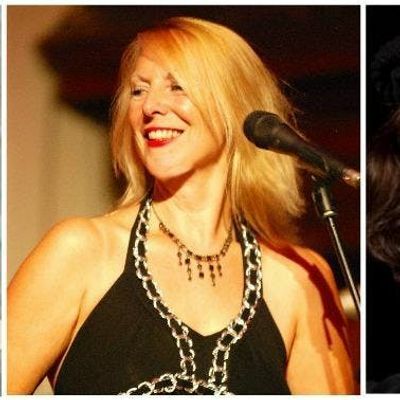 Their repertoire will include original compositions - inspired by Irish literature such as James Joyce's works, contemporary Irish poetry by Nuala Ni Dhomhnaill, Sean O Riordain, and stories of Ireland, - as well as the duo's unique take on jazz standards. Having represented Ireland at the International European Jazz Festival at Schoenberg Hall in Los Angeles, Melanie and Frank are delighted to be bringing their special magic to Dublin, especially as Frank travels en route from his weekend at Ronnie Scott's jazz club! They will be joined by Dublin's own Cormac O'Brien on Bass, and Myles Drennan on drums .. All welcome!
" Melanie swings and shimmers with a Gaelic edge....A thoroughly modern take on the jazz tradition.... utterly transformative - Ken Kubernik : Record Producer/Journalist Music Connection. "Timeless & thoroughly modern,... songbird Melanie O'Reilly showcases Gaelic as an exciting jazz medium along with innovative flights into French and American jazz standards. Her voice soars to dynamic heights, drifts into sultriness and fuses with Frank Martin's masterful piano. Melanie, from Ireland, is an international figure in the world of Celtic music and jazz, having performed in venues including Lincoln Center, the Edinburgh International Festival, the Schoenberg Hall LA, the Cork Jazz Festival and the World Music Festival "d'Ici et D'Ailleurs" in France. Her unique style fuses traditional Celtic melodies, American jazz, and Latin music. Her original compositions are created through the inspiration of literary figures, such as James Joyce, and lyrics based on contemporary Irish poems. She is also the creator, host and co-producer of the award-winning series "Jazz on the Bay", broadcast on RTE Radio 1. Frank Martin is highly renowned and one of the most exciting pianist/arrangers in the Bay Area with a formidable roster of performances and recordings with musicians in the jazz and pop worlds, including Sting, Herbie Hancock, Bobby McFerrin, Narada Michael Waldon, Turtle Island String Quartet, Stevie Wonder, and the world-class Brazilian band of Jose Neto. Both Melanie and Frank are renowned music educators.